I was going to look at moon poems today in recognition of the upcoming total eclipse, but then I heard the news of Mary Oliver's death, yesterday. We have many volumes of Oliver's poems in the 811.54 section for you the enjoy. Rest in peace, Mary Oliver. The Poetry Friday Round-Up is being held by Tricia at The Miss Rumphius Effect. 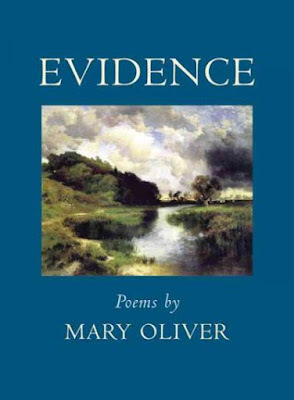 I'm sure there will be many remembrances of Mary Oliver and many meaningful poems shared. The English are noted for their love of tea, and the habit of drinking tea came over to America with the colonists. 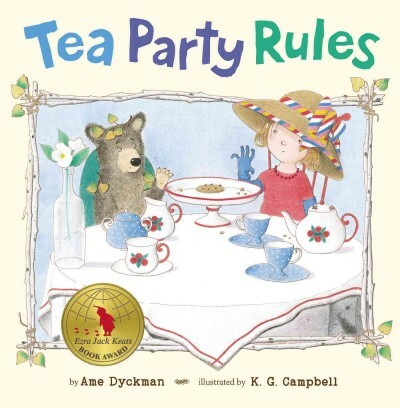 We can't forgot what an important role tea played in Boston's Revolutionary history. Even though coffee is the hot beverage of choice in the United States today, tea continues to hold its own in supermarket aisles next to coffee and a distant third hot beverage--hot chocolate. January is National Hot Tea Month, so let's all celebrate with a cuppa! 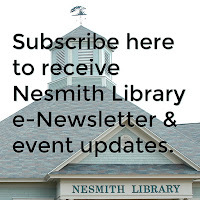 The GMILCS consortium of libraries in southern NH, of which Nesmith Library is a part, offers eBooks and eAudiobooks through a service called CloudLibrary. (The learn more, click here.) GMILCs member libraries each have a representative on an eBook committee that is responsible for spending money allocated for CloudLibrary content. The committee does its best to keep up with items in high demand--the things everyone wants to read right now--so a good portion of our funds go to buying multiple copies of "hot" items to fill holds. After 6 months or so, demand generally drops off and we are left with multiple copies in our collection that don't get utilized. There are also items we bought initially for our base collection when we started in 2013, which tend to be available because everyone wants something from the bestsellers list. The committee, beside ordering books, also maintains several browsing shelves on the CloudLibrary app. These shelves contain newly purchased items or items that have been collected around a theme. Last week I put up a shelf I titled "Artful Fiction." 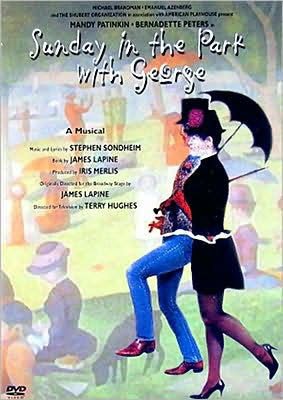 On the shelf you'll find novels that feature artists or art-related themes. The Art Forger by Barbara A. Shapiro [F SHA]. The Birth of Venus by Sarah Dunant [F DUN]. 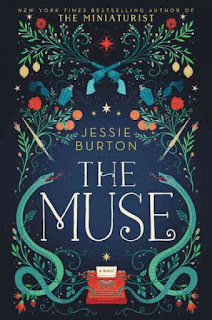 The Muralist by Barbara A. Shapiro [F SHA]. 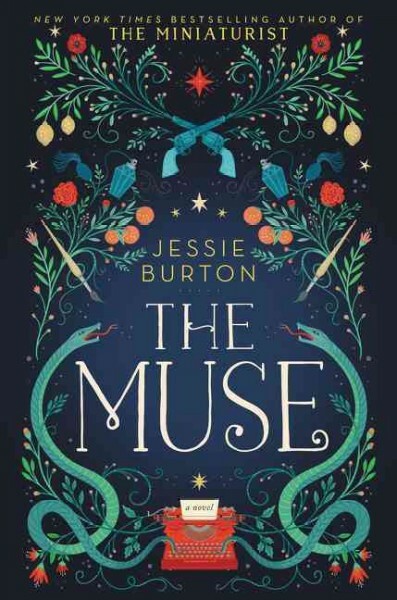 The Muse by Jessie Burton [F BUR]. Robert B. Parker's Old Black Magic (by Ace Atkins) [F PAR]. The Woman Upstairs by Claire Messud [F MES]. On Thursday, the Chinese National Space Administration's lunar craft, Chang'e4, landed on the far side of the moon. It is a landing that is significant because it hasn't been done before, despite the lunar landings which took place 50 years ago! The far side, also referred to as the dark side, has always presented a problem because of lack of communications capability. The Chinese appear to now have conquered the communications problem and it looks like the "space race" is on again. Those of you who lived through the 1970s--tell me you don't have Pink Floyd's Dark Side of the Moon album [CD ROCK PIN] running through your head! 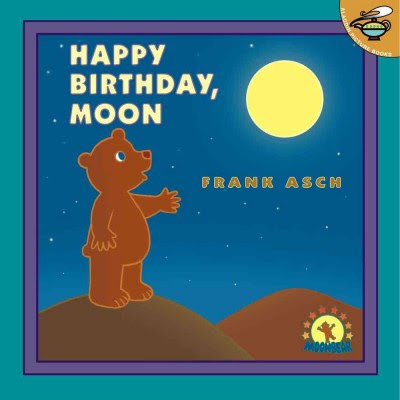 To learn more about the dark side of the moon, click here. What's really exciting is we now have close-up photos! Found in Poetry for Young People: Emily Dickinson [J 811 DIC]. I'll save you the trouble of looking up "dimity": it is cotton fabric with woven stripes or squares. 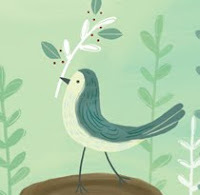 Join Sylvia at Poetry for Children for the first Poetry Friday Round-Up of 2019--she'd love for you to stop by!